Considered the founder of the field of neuroendocrinology, Roger Guillemin, MD, PhD, is a scientific pioneer whose research into brain hormones has led to treatments for disorders ranging from infertility to pituitary tumors. A native of Dijon, France, Guillemin graduated from the University of Lyon’s medical school in 1949, then pursued an interest in endocrinology at the University of Montreal’s Institute of Experimental Medicine and Surgery, receiving his PhD in 1953 and subsequently accepting an assistant professorship at Baylor College of Medicine in Houston, Texas. In 1969, Guillemin made his first groundbreaking discovery. Although researchers had long suspected that the brain controls the function of endocrine glands, they did not know how these interactions occurred throughout the body. They believed the brain’s hypothalamus released a substance that activated these glands, but no one could find evidence for it. After manipulating 1.5 million sheep brains, Guillemin’s group eventually isolated a molecule called TRH (thyrotropin-releasing hormone), which ultimately controls all the functions of the thyroid gland. In the following years, he and his colleagues isolated other molecules from the hypothalamus that control all functions of the pituitary gland—for instance, GnRH (gonadotropin-releasing hormone), a hypothalamic hormone that causes the pituitary to release gonadotropins, which in turn trigger the release of hormones from the testicles or ovaries. This discovery led to advancements in the medical treatment of infertility and is also used to treat prostate cancer. 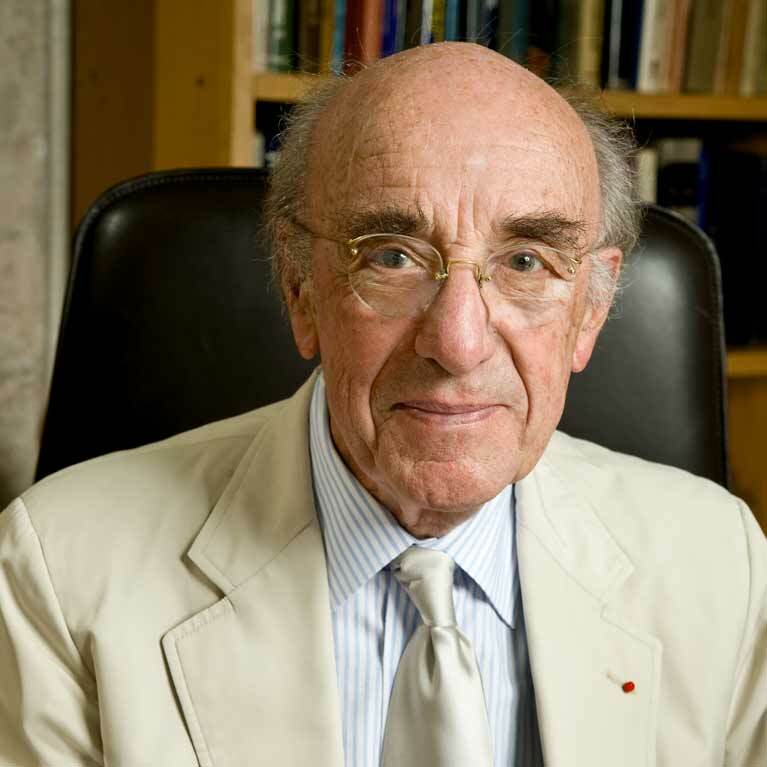 In 1970, Guillemin joined the Salk Institute to head the newly established Laboratories for Neuroendocrinology, where he and his group discovered somatostatin, which regulates the activities of the pituitary gland and the pancreas and is used clinically to treat pituitary tumors. He was among the first to isolate endorphins, brain molecules that act as natural opiates, and his work with cellular growth factors (FGFs) led to the recognition of multiple physiological functions and developmental mechanisms, including molecules such as inhibins and activins. The recipient of numerous honors, Guillemin was awarded the 1977 Nobel Prize for Physiology or Medicine for his work with hypothalamic hormones. He is also a member of the National Academy of Sciences and the American Academy of Arts and Sciences and has received the Lasker Award in Basic Sciences and the National Medal of Science, among many others. He was selected for the Hall of Honor at the National Institute of Child Health and Human Development (NICHD) for exceptional contributions to advancing knowledge and improving maternal and child health, and is listed as one of the most “highly cited” scientists from 1981–99 by the Institute for Scientific Information. As interim president of the Institute from 2007–09, he was instrumental in bringing art exhibits to the Salk Institute, fulfilling Jonas Salk’s vision of a facility that blends science and art. In 2015, Guillemin was presented with France's highest accolade—the rank of Commander in the Legion of Honour.